It’s week FOUR of the #HealthyNewYear Six-Week Challenge and our group is already close to 1,000 strong! 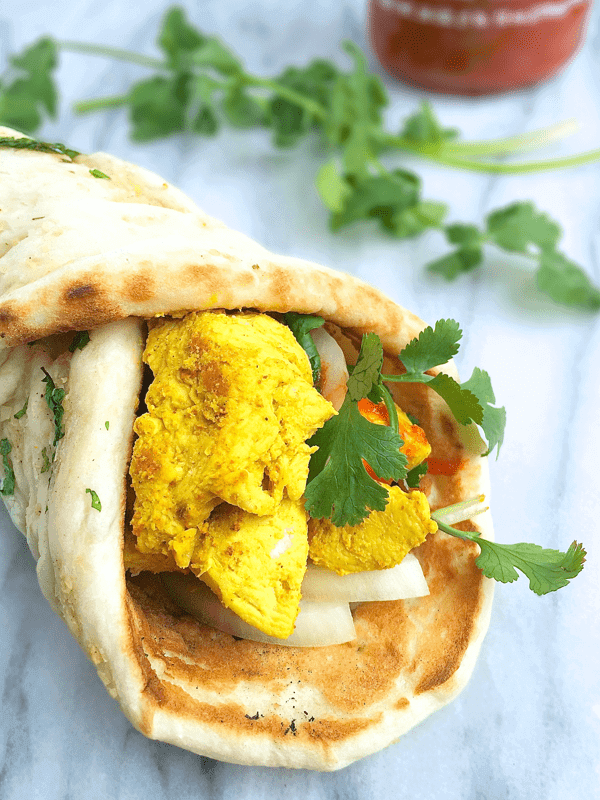 In case you’re just joining in, Week 1 was all about protein-packed breakfasts, in Week 2 we challenged everyone to “go ethnic!” and in Week 3 we talked about cooking with different types of lean protein. This week we are partnering with Sunkist the growers of my most beloved fruit of all time: lemons. Believe it or not, recent research revealed that Sunkist lemons can be used to reduce salt in recipes by up to 75%! The secret formula? For every 2-4 servings, use 1/4 teaspoon salt + 1/2 teaspoon Sunkist lemon zest. To serve, finish the dish with 2 1/2 teaspoons fresh Sunkist lemon juice. 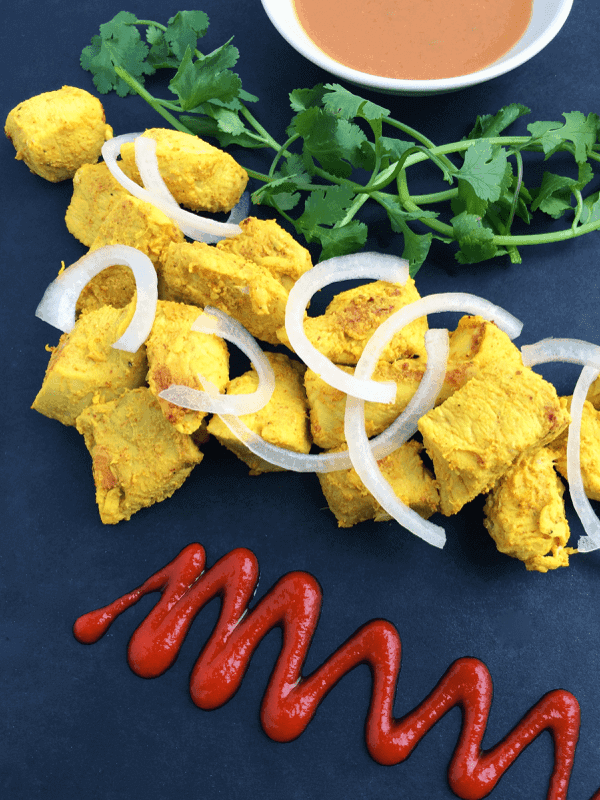 In the effort of Week 4’s challenge to reduce sodium in recipes using lemons, I have created these mouthwatering Thai Beef Satay Skewers with Creamy Peanut Dipping Sauce. 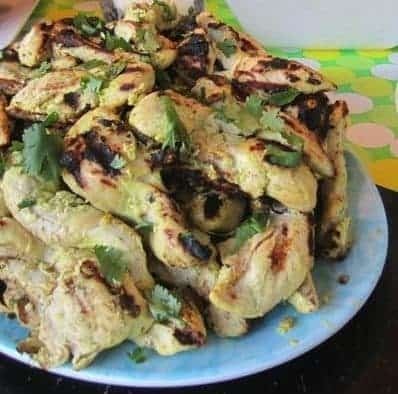 The fragrant marinade made with bright lemon juice, fresh ginger and soy sauce is super versatile so I always recommend making a double batch to use later in the week on chicken, pork, fish or vegetables. Are you ready to commit to a healthier lifestyle in just 6 weeks? Join the close to 1,000 people who have committed to healthier living over on our Healthy New Year 6-Week Challenge Facebook page today! And don’t forget to tag myself (@TheLemonBowl) and Dara (@CookinCanuck) on social media along with #HealthyNewYear so we can cheer you along! Spoiler Alert: There will be prizes! In the meantime, grab a couple lemons and whisk up this quick and easy Thai Beef Satay marinade and creamy peanut dipping sauce. You are going to love the smoky, slightly-charred flavor and bright freshness of the lemons and ginger. 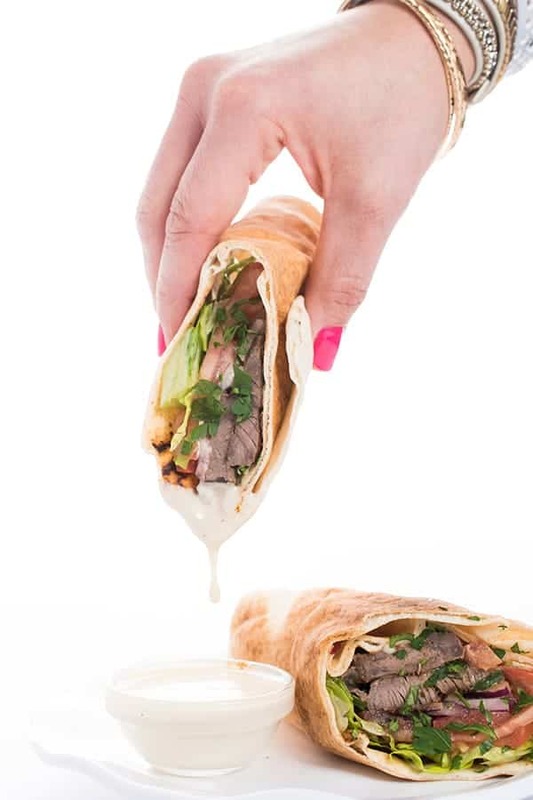 Cool it all off in the creamy peanut dipping sauce and your taste buds are going to be begging you for more. In a medium glass bowl, whisk together beef marinade: lemon juice, ginger, soy sauce, fish sauce, garlic and chili paste. Add beef strips to the bowl and toss well to coat. Let sit at room temperature for 20-30 minutes or marinate in the refrigerator for up to overnight. 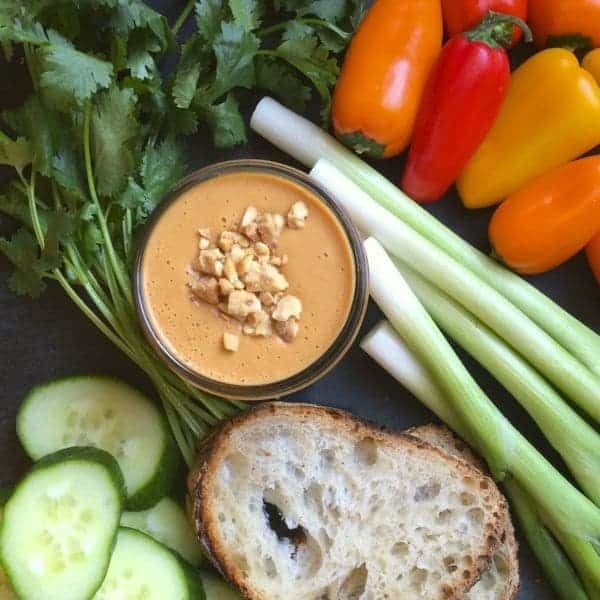 Prepare peanut dipping sauce by whisking together all ingredients in a small bowl. Slowly add in warm tap water, about a tablespoon at a time, until you reach desired consistency. Reserve for later. To cook beef skewers, carefully thread each strip on soaked skewers. Grill over medium-high heat for 2-3 minutes per side for medium rare. Let been skewers rest for 10 minutes before serving with reserved peanut dipping sauce. Head over to my Pinterest page for more healthy Asian Food! Follow The Lemon Bowl | Liz Della Croce’s board Asian Food on Pinterest. This recipe was horrid! Like, not terrible or wretched or disgusting but something much, MUCH worse. I have been around the world and tasted delicious food in many countries, even many remarkable places here in the US. I have rarely been as appalled at a dish as this disaster. I have no idea what the five star review people consider good but I didn’t even feed the leftovers to my dog. The sauce is inedible. I was really looking forward to trying this as well, big BIG disappointment! I’m so sorry you didn’t enjoy this recipe! I’m not sure how to help or advise as we make these all the time and they’re always a huge hit. Did you make any substitutions to my recipe? I’d love to help brainstorm where it went wrong for you. So sorry! We cook as part of a daily routine and almost never measure the ingredients, but this recipe was measured perfectly. I wish I could try yours because these looked delicious. The ones we make looked the same as the one in the pictures but good lord were they bad. I’m gonna have to believe that yours tasted different because there would be no way that these were posted as food unless it was meant as a joke or you guys are really sick individuals. Ok, I’ll try this, I will try a different recipe of yours. If it is good I will take back my review and apologize. What recipe should I try? How many skewers are in 1 serving? The marinade was awesome!! I didn’t cut the steak into strips until grill time and the flavor still comes through!! I didn’t care for the peanut sauce. Just tasted like peanut butter only. Served the beef with pan sautéed sugar snap peas with some butter, garlic and soy sauce, and it was delicious!! I’m so happy you liked the marinade!! Sounds great how you served it! Can I omit the fish sauce? My husband is allergic. What would be a good substitute? You can omit it – you really can’t replicate it though. It’s pretty much just background unami. This marinade was absolutely delicious! Saving it as a favorite for the future. Question: if you don’t have fresh ginger would ground ginger work? Perhaps half the amount of fresh? Yes absolutely!! That’s a perfect substitution! First, these look incredible! Second, I had no idea you could use lemon to help reduce salt, what a fantastic idea! I need to work lemon into more savory dishes, it’s certainly a favorite for me when it comes to baking. Can’t wait to try these! You know I have been using lemons for years but I didn’t realize it either! That beef looks so juicy and tender! I’m drooling over here. oh girl, these sound soooo good. I wish I could snap my fingers an have them in front of me right now! I wish I could send you a platter!! Meat on a stick…..YOU know I’m down! I mean seriously what is better? I love using lemon juice in my marinades! Your skewers look amazing—perfectly grilled beef! You know I do too Liz! Thank you so much! That peanut sauce really did seal the deal!! Thank you Catherine!